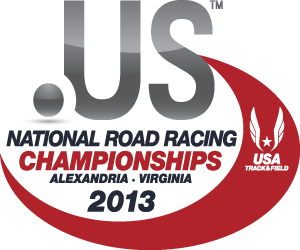 Open to all runners of all abilities, the .US National Road Racing Championships November 17 in Alexandria, Va., will unite USA Track & Field members, regional road racers, fitness enthusiasts, weekend warriors and the best professional runners in the country. The culminating event of USATF’s USA Running Circuit and USATF’s flagship road race, featuring $100,000 in prize money, the race offers an opportunity for everyone to test their limits and enjoy a scenic run through historic Alexandria. Mix and mingle with the top elite racers in the U.S.
For more information, visit the race website. 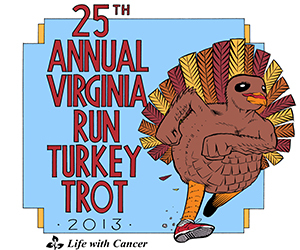 Get a healthy start to Thanksgiving Day by signing up you, your family and friends for the 25th annual Virginia Run Thanksgiving Day Turkey Trot 5K run or 2K Fun Walk presented by Mitchell Eye Institute. The event will take place on the 5k certified course that winds through the Virginia Run Community in Centreville Virginia on November 28th at 8am. All proceeds from the event benefit “Life with Cancer,” an Inova Health System non-profit program for cancer patients and their families. Last year over 4500 people participated in the event and $95,000 was raised for Life with Cancer. For more info about Life with Cancer please visit the LWC Website. The Drumstix Dash is a challenging after-Thanksgiving 8K race held at Springfield, Virginia’s scenic Burke Lake Park each year on the Saturday following Thanksgiving. The Dash is a fun, community event that benefits HCSNV. Come join us as a runner or a volunteer and help us get Virginia moving in the right direction! For more information please visit us at http://hcsnv.org/events/drumstix-dash-8k-race/ . To register for the Drumstix Dash 8K click here!